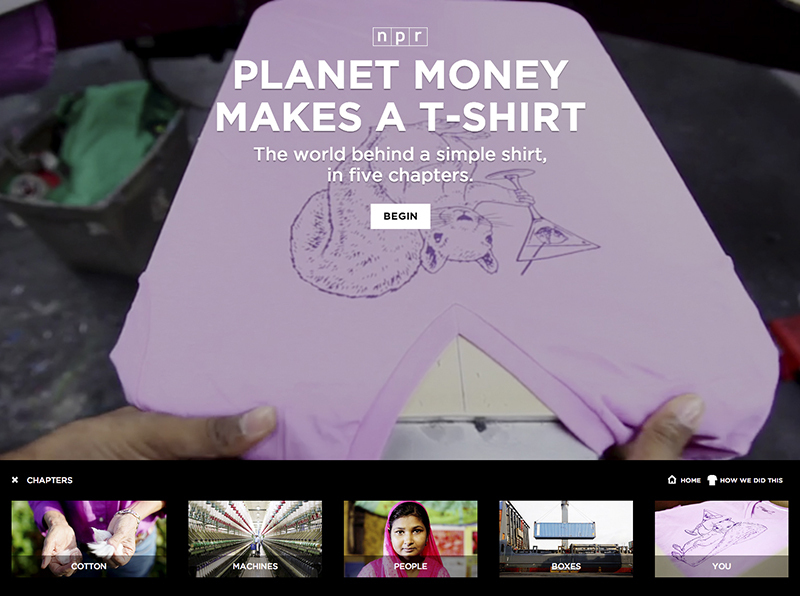 "Planet Money Makes A T-Shirt"
Click here to view the entry where it originally appeared. We wanted to see the hidden world behind clothes sold in the US, so we made a T-shirt and followed its creation across 3 continents. What we found - there is nothing ordinary about a simple T-shirt.